This review first ran in the Jan. 20 edition of The Hamilton Spectator. It was all about the take-home pay back in my twenties. Vacation days, along with health and dental benefits, were front and centre in my sleep-deprived new parent thirties. Now that I’m in my forties and playing through the back nine of my career, I’ve come to fully appreciate my defined benefit pension plan. I also expect the plan I’m paying into today will look nothing like the plan I draw from when I’ve called it a day and become a fulltime snowbird. And I hope the plan changes for the sake of my kids and yours. 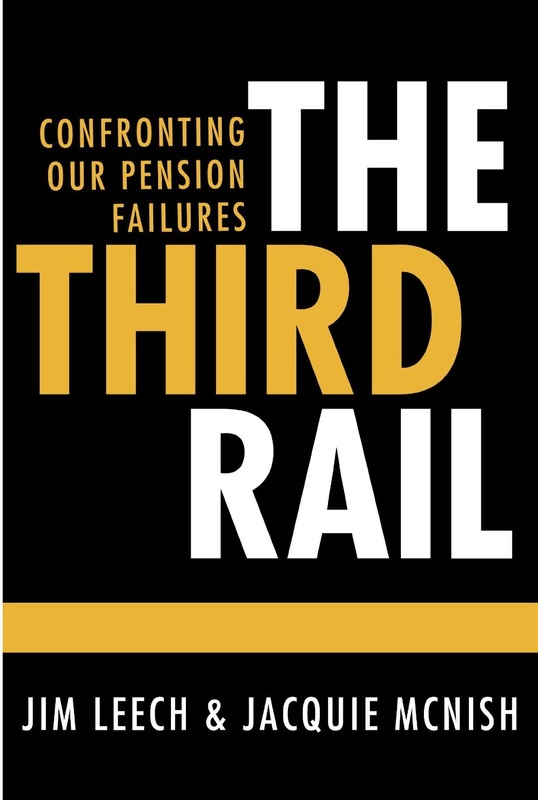 Jim Leech and Jacquie McNish, authors of The Third Rail, warn Canada’s headed for a pension meltdown unless there are major reforms. More than seven million Canadians will retire over the next 20 years. We’re looking at two or fewer workers supporting every one retired Baby Boomer. The Ontario Teacher’s Pension Plan already has just 1.5 active workers for every retired teacher. And the hits keep coming. “Pension funds have not built in sufficient surpluses to cope with market and demographic stresses and employers are increasingly unable or unwilling to shoulder ballooning pension costs,” say the authors. Since 1997, the percentage of Canadian employees covered by workplace pension plans has fallen to 36 per cent. Coverage drops to 25 per cent in the private sector where there’s a move to riskier and voluntary defined contribution plans that ding workers with far higher management fees. Of the 60 per cent of Canadians who don’t have a workplace pension, most aren’t saving enough to maintain their current lifestyle into retirement. Federally funded benefits, which already cost taxpayers $38 billion a year and could triple by 2030, won’t make up the shortfall. This spells serious trouble for an economy driven by consumer spending. But there’s a way forward and the authors spend most of their book highlighting new pension models taking shape in New Brunswick, Rhode Island and the Netherlands. The stakes are high. Politicians need the courage to touch what the authors call the third rail. Business and union leaders need to come to the table.